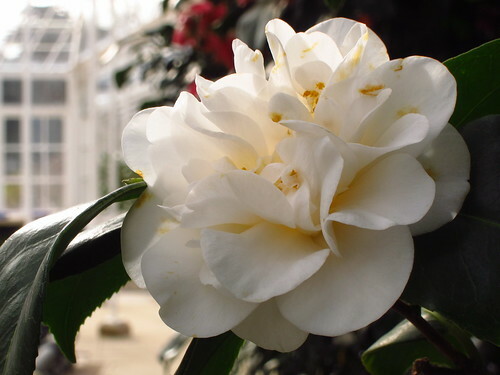 A couple of days ago, I visited Chiswick House and Gardens to see the camellias in the conservatory there, which is now open for the second Camellia Festival. I went to the first Festival last year, and the camellias were showing more blossoms then. Probably the recent cold surprised them, too, and they just need a few more days to open their buds. 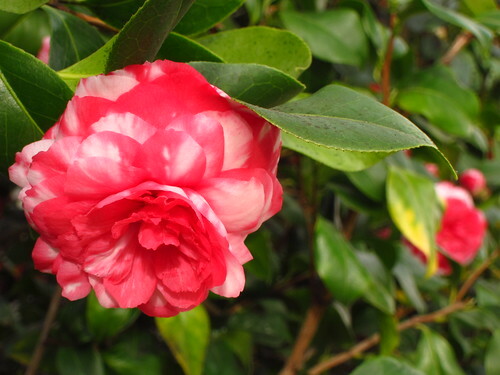 The Camellia Festival is running until 18 March, so there is still time to enjoy them in bloom. For more information, see the website of Chiswick House and Gardens Trust.